Whether you’re lounging by the pool, playing a game of beach volleyball, or just hanging out, one thing is for sure, the heat will leave you thirsty and dehydrated. Sure you still need your eight glasses of water, but when you want something more refreshing, take your pick from these five drinks. Re-energize the natural way with Function Drinks. These physician-developed beverages contain all-natural ingredients such as guarana, green tea extract, and devil’s claw in their drinks so you can stay out of the doctor’s office. Say goodbye to sore muscles and achy joints afterwards with Shock Sports or burn more calories with Light Weight. FunctionDrinks.com. The name says it all. R.W. Knudsen’s Recharge is an all-natural sports drink that rehydrates and re-energizes without high-fructose corn syrup and artificial flavorings and colorings. It contains all-natural juice, water and sea salt for electrolytes, and nothing else. KnudsenJuices.com, Starts at $3.49. Drink, don’t swallow your vitamins with Activate. These vitamin-enhanced waters have only 5 calories, no sugar, and are lightly sweetened with Splenda. Since vitamins lose their potency sitting in water, the vitamins stay put under the lid and are only released when you twist the cap to drink. Choose from Antioxidant, Immunity, Vitamin or Energy. 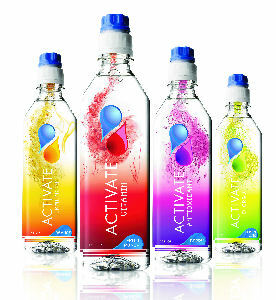 ActivateDrinks.com, $2.30. Kaboom organic juices contain antioxidants and vitamins to eliminate free radicals and replenish nutrients lost during everyday activities. And best of all, it comes in 100% recyclable packaging making it eco-friendly. Available at Whole Foods. 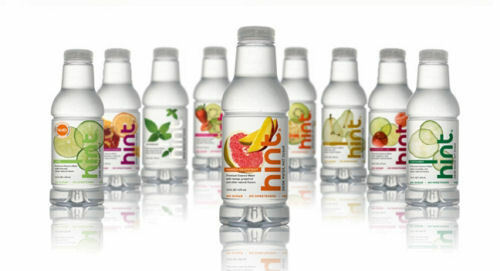 Craving more than water, but less than a sports drink, then Hint is exactly what you want. It’s water accented with natural flavors like watermelon, mango grapefruit, strawberry kiwi, and even cucumber. DrinkHint.com, 24 16oz bottles for $44. Also, if you’re interested in formula kept in the cap. Check out the new Last Shot Drink boosted by Powercap! It’s actually even more simple than Activate as the consumer just has to “push” rather than twist.